Semi-Electric pallet jack is a name adopted by the industry to describe a pallet jack with some features of a power pallet jack but not all. Self Propelled manual lift pallet jacks. 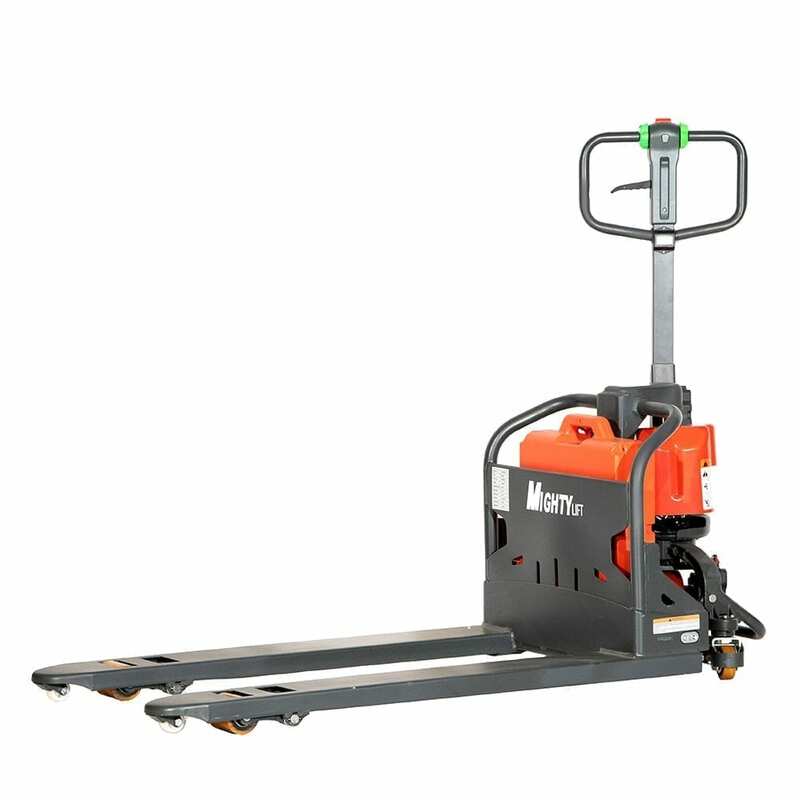 The Mighty Lift semi electric pallet jacks have manual raise and lower but an electric motor and battery that drives the unit (electric propulsion). Unlike some of its competition the drive is full-time not just starting the load and then disengaging. Mighty Lift semi electric pallet jacks will make the work lighter on the operator without the cost and maintenance of a full power pallet jack.